Stadiums use Wifarer's beautiful indoor navigation apps to help fans get where they want to go and to engage them with special offers at critical decision points. 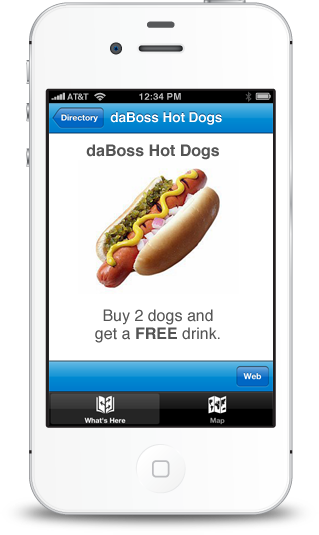 Indoor positioning technologies reveal customers' locations so you can deliver hyper-local offers and product suggestions. 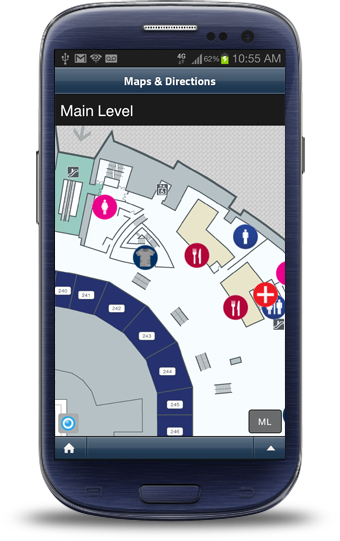 Indoor navigation directly to their seat, a great souvenir, or the right exit improves the fan experience. Fans glance at their mobiles to see their exact indoor location in real time. Indoor "GPS" means they never get lost. Access to food and drink options helps fans find the perfect snack. Transit information makes it easy for them to get home. Go online for location analytics and find out what fans search for, where they go, and how long they stay. Indoor positioning technologies enable powerful insight into customer behaviour and stadium use.